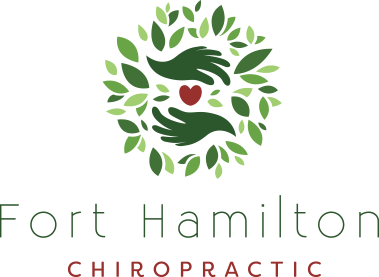 At Fort Hamilton Chiropractic, virtually 90% of our patients respond to chiropractic care within one to four weeks. Some choose to leave after relief and others choose to continue with care for maintenance and prevention. We want to share a story about a patient of ours who came in for care for more than 16 years towards the end of his life. This older gentleman, Gasper, was one of our rare cases that didn’t see near-instant results like most. Regardless, he trusted chiropractic and us enough to continue with wellness visits and lead a healthy life to the end. Gasper’s alarming X-rays showed arthritis up and down his spine with a lot of disc decay and bone spurs. He also had sciatica that caused debilitating pain down his right leg. He was unable to walk and experienced constant pain. Chiropractic care gave him some pain relief, but he wasn’t ready to stop there, and neither were we. With his perseverance and belief in chiropractic, Gasper was completely out of any kind of pain, numbness or tingling down his leg. Within six months of care he was able to regain movement and live the life he loved by walking everywhere on his own. Gasper felt great, but he made the decision to continue seeing us once a week for preventative care. His visits helped maintain his state of health. He still had no complaints so he decided to see us every three weeks. Shortly after, Gasper came in and told us, ‘’I felt a twinge for a second last week.” He decided because of this twinge, that he would begin care once a week again. The perseverance Gasper showed in sticking with something he had faith in paid off! For 16 years after this Gasper never had another complaint! He knew when he needed our care and how often to maintain a life of wellness! After being unable to walk for years prior to starting care, Gasper was able to live a fully functioning life without pain. As many times as I tell my story to different people, no one believes me! I know without Dr. Eggert I would have been in a wheelchair for many years already. Instead I dragged about 30 pounds of food from 91st Street to 96th Street just now! Feeling grateful! Thank you...it has been a pleasure to be a part of helping you to live a healthier life all these years! Keep on walking! !